Wizard, Hobbit, and Dwarf alike band together to take back the Lonely Mountain from the villainous dragon Smaug. 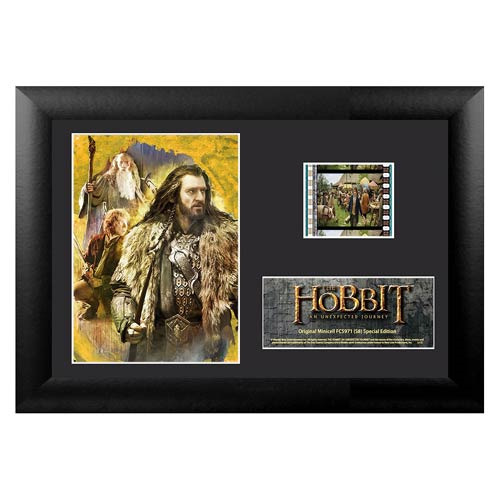 Now you can own a clip of film from the movie The Hobbit: An Unexpected Journey. The Hobbit An Unexpected Journey Series 8 Mini Cell measures 7-inches wide x 5-inches tall. Perfect for displaying in your home or at the office, all the elements are framed in black wood and includes a certificate of authenticity.